Individually, Little Free Libraries are small containers in public spaces where the public can borrow, exchange, or leave used books. Collectively, they're a movement to build local reading communities through sharing books, with hundreds of volunteer supporters around the world. But now someone thinks that a free and voluntary movement is not enough; they want to develop a paid model with automated kiosks, membership fees, and library cards. A crowd-funding campaign crossed my desk yesterday for OpenBook, which describes itself as "a group of students who have seen the need to solve the problem of accumulating read books at home". That sounds an awful lot like Little Free Libraries, only OpenBook thinks this problem would be better solved through a paid membership model. 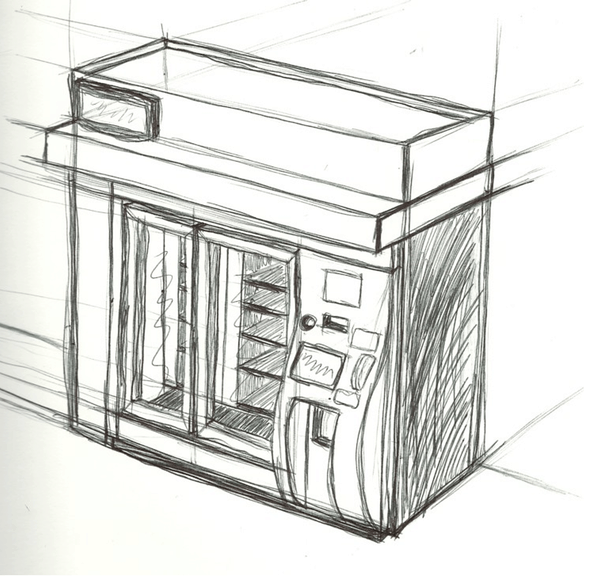 This project starts in Madrid with 50 vending machines. The Book Vending Machines are usually located on metro stations and bus stops. We think there are great places where collecting a book and start reading in your way to work. A database system will be responsible for storing the titles and authors of every book left in the machine. To be able to use our Book Vending Machines, you will need to register first on our website* and request a member card. The personal card costs just 5€ (it doesn’t have time limit) and each recharge is 25 € (per year). Users will have hundreds of books to choose, as this project has a large database of books that increases every day so they can be used by all. They're trying to raise 12,000 euros to fund the development of the kiosks, and the software to run the project. Obviously this is going to go nowhere; it will cost hundreds of thousands of dollars to develop the kiosks, each one will cost thousands of dollars (or more) to purchase and install, and maintenance and operating costs will run hundreds to thousands of dollars a year. OpemBook's developers clearly don't know what they are getting into, and the project will likely implode due to that lack of research. And that's good, because this would be a huge waste of money. What is the value in investing thousands of dollars in tech to regulate a book-sharing program when basically the same idea is already working on an open-sharing, volunteer-supported model? Sure, Little Free Libraries suffer from the occasional theft, arson, or bureaucracy, and they are unevenly distributed, but is there anything that this OpenBook project could accomplish which the LFLs do not? I have asked the OpenBook developers that question, but I also wanted to put the question to the readers of this blog. As you predicted, the OpenBooks Kickstarter campaign failed, as it should have. But it is an attempt to address a problem of Little Free Libraries: that people don’t always appreciate free stuff. There is a little park near my house and it has a Little Free Library. Problem is, the park is an impromptu water park in the summer. Kids play with a water hose and now the wooden box is moldy, and when it was missing its door, the books inside got wet. To make things worse, some people have taken to using it as a garbage can, both literally (putting actual garbage in the box) and figuratively (putting in books that no one wants to read, like a John McCain biography). The volunteers who keep it up have, after much work, almost succeeded in cleaning up a red bubblegum stain, but various other stains (which I would like to believe are from rotten fruits and vegetables rather than something more disgusting) remain. The volunteers here seem to be far more concerned with putting up new LFLs than they are in maintaining old ones. Maybe the OpenBooks people need to shift their attention to producing an affordable eBook reader. People would appreciate a $10 or $20 reader, right? And they could load them with free classic books from Project Gutenberg and affordable books from Smashwords.